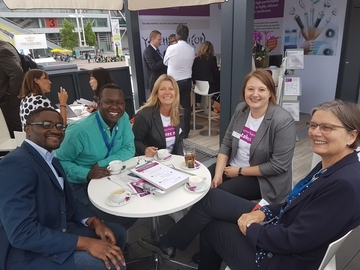 Oct. 11, 2018, 12:34 p.m.
June 13, 2018, 2:48 p.m.
Young Spirit and JCF at the Evonik booth. Great to see you! 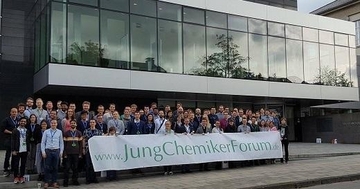 April 19, 2018, 7:31 a.m.
Oct. 17, 2017, 12:26 p.m.
JCS Ruhr 2017 – The Young Chemists Forum (JCF) has organized the 8th Young Chemists Symposium (JCS) Ruhr to offer students from all fields of chemistry the opportunity to exchange ideas in a relaxed and informal atmosphere and to present their own scientific work. The best talks and scientific posters were rewarded with great prizes, sponsored (among others) by Evonik. 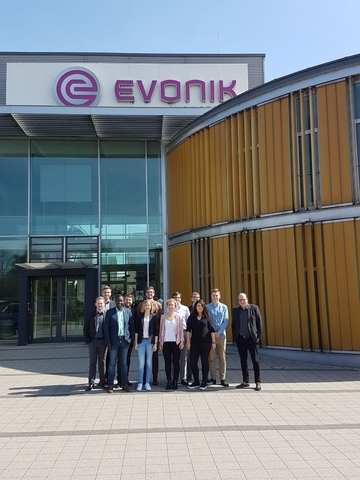 The symposium also consisted of workshops: Evonik employees Dr. Jana Gershberg and Dr. Mona Seyfried from the Research & Development department shared their personal experiences in the workshop "From University Student to Innovation Manager at Evonik".